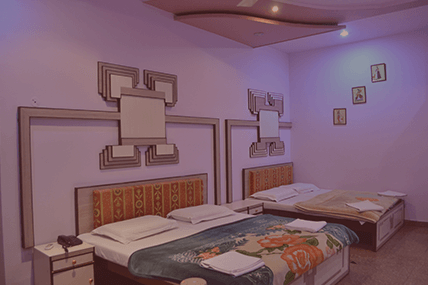 Located in the Pink City – Jaipur, Hotel Kalyan is one of the best budget 2 star hotels in Jaipur since 1981. Hotel Kalyan opened its door in 1981. with the aim of achieving excellent customer service by providing a truly unique experience to the guests with a hospitality that caters to their every need. A traditionally architectural hotel with all the modern amenities will make you feel the taste of Jaipur, and provide you comfort. Boasting its well equipped 35 Rooms with all the modern amenities and heritage hand crafted paintings, the hotel will make you smile. 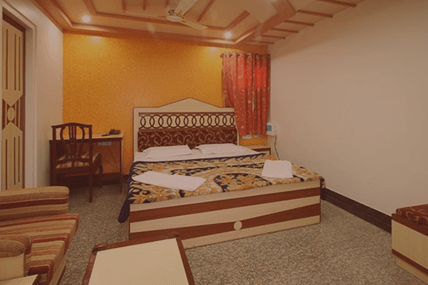 Ranging with every budget the hotel offers different kinds of room, fitting for every pocket. Our hotel lays emphasis on quality and understated elegance. From leisure trips to extended business stays, our personalized services offer you unmatched charisma and world-class hospitality. 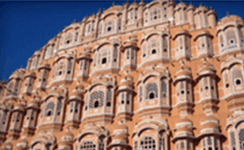 For your next trip to the pink city, book your stay at one of the best boutique hotels in Jaipur. Hotel Kalyan,has been awarded as The Best Featured Hotel In Jaipur by Cleartrip 2015. 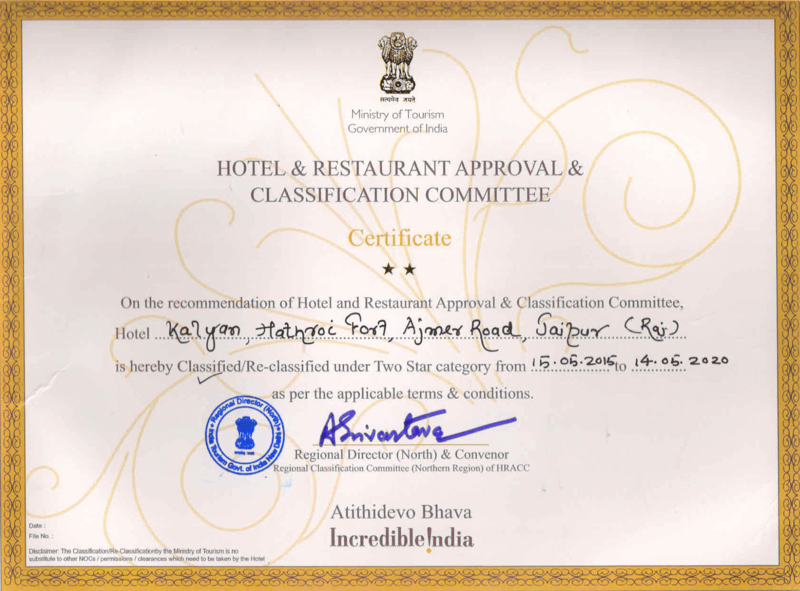 Hotel Kalyan,reclassified as a 2 Star Hotel In Jaipur by Indian Tourism Delhi,Govt. Of India,New Delhi. 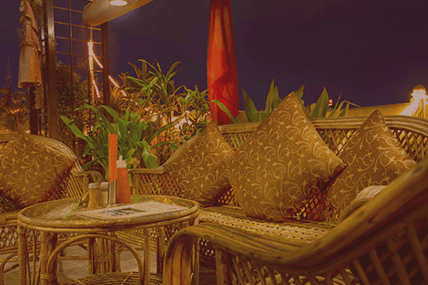 We now offer a Misted Rooftop Restaurant to beat the heat of pinkcity. 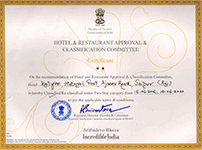 Hotel Kalyan, awarded Certificate Of Excellence by Tripadvisor. Hotel Kalyan,Introduced its new packages.Go ahead and try the exclusive. Jaipur’s newly inaugrated “Jaipur Metro” is just at stone throwing distance from hotel.We are only 1 Km away from metro Station. 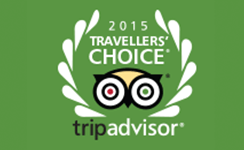 Hotel Kalyan,Got Traveler’s Choice Award Winner Hotel “Ranked #10th In India” by Tripadvisor. 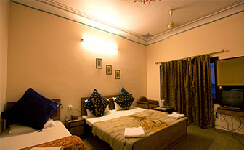 "One of the Best Budget Hotels in Jaipur." If I come to Jaipur again, I'll choose Kalyan again. 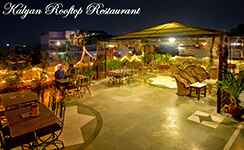 The hotel has beautiful restaurant with stunnig view and delicious food. The owners are nice and very friendly. They help us arange a lot of things. The hotel looks on pictures same how it looks In real. This food was so tasty and a great price!! The staff were kind and attentive. The tandoori aloo was the best meal I have had!! The cheese is made daily in house and is to die for!!! If you have been travelling as long as we have you will miss and appreciate a good cheese.. Look no further!!!!! "Delhi belly? Won’t get it here. " I really enjoyed trying the different food sortiments at this restaurant. I was impressed by their wide range – the serve also dishes specific for other regions, not only for Rajasthan. And if you would rather stick to what you know, you can also between some European dishes. My only observation is that a toilet near the terrace would be great, so that you wouldn’t have to go to your room.